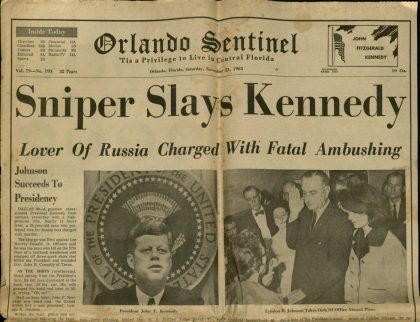 The series of Orlando Sentinel newspapers covering just a few days in November 1963 chronicle President Kennedy’s assassination in Dallas and the international response to the horrific event. .
Read pages 1-3 from the November 22, 1963 Orlando Sentinel – The day BEFORE Kennedy was Shot. 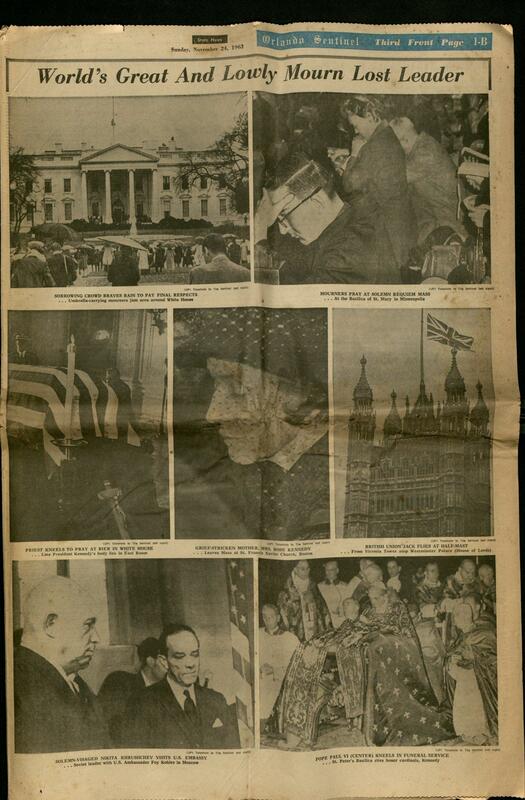 Read page 1B from the November 23, 1963 Orlando Sentinel: Life of a President and A Luncheon with a Courageous Man. 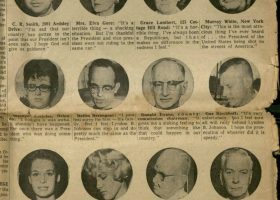 A Luncheon with a Courageous Man was written by then publisher of the Orlando Sentinel Martin Anderson. 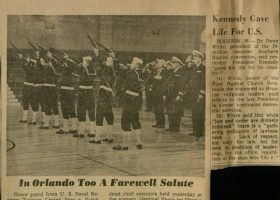 Read the front page and see photos from the November 24, 1963 Orlando Sentinel. 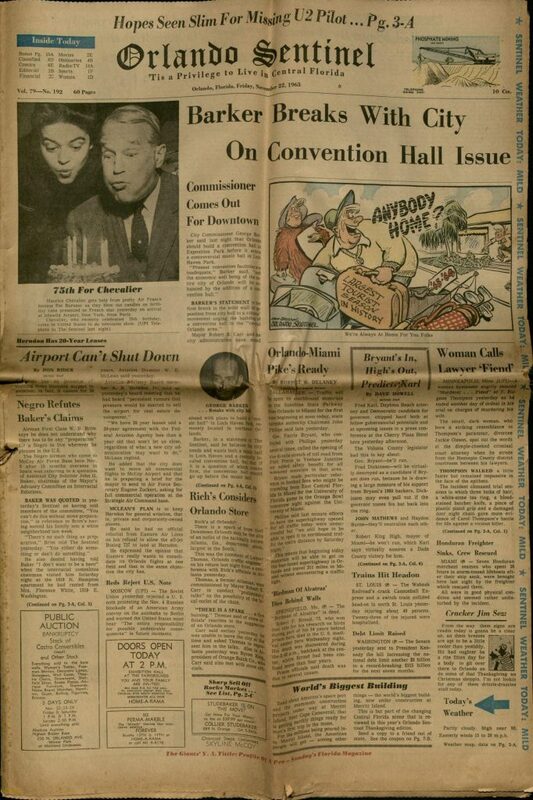 Read the three page section of the Orlando Sentinel from November 24, 1963. 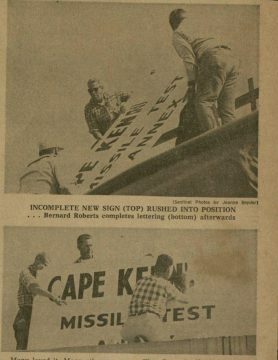 Articles mention Exposition Hall at the fairgrounds, Herndon Airport, Convention Hall, Loch Haven Park, Airman First Class W. B. Brim, Governor Bryant, what would become known as the Vehicle Assembly Building on Merritt Island at Cape Canaveral, President Kennedy, and more. 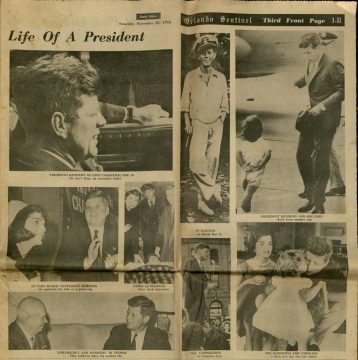 A pictorial display entitled "Life of a President" and an article entitled "A Luncheon With a Courageous Man" from page 1B from the Orlando Sentinel the day after the assassination of President John F. Kennedy. 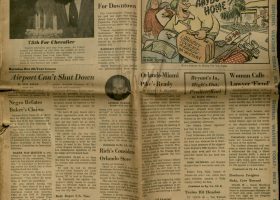 The lengthy article entitled "A Luncheon with a Courageous Man" was written by then publisher of the Orlando Sentinel Martin Anderson. 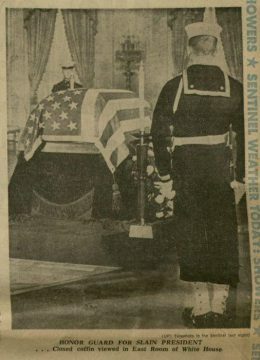 "He belonged to the people and the people loved him as an individual, because he was a warm, charming human being with a beautiful wife and two wonderful children. 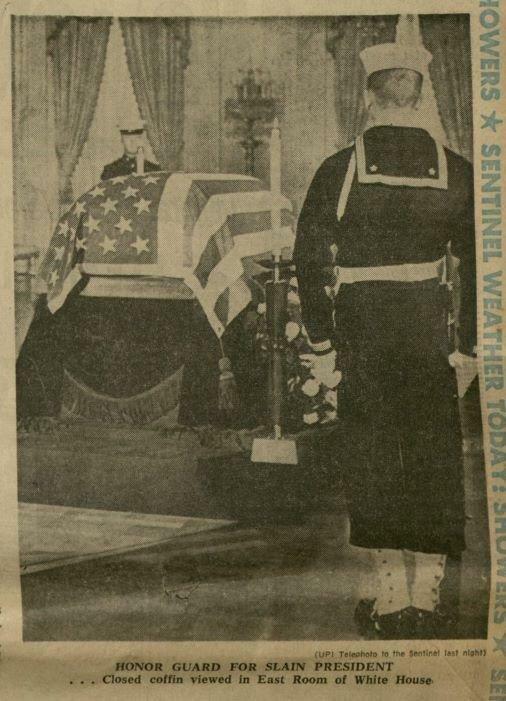 And because he was fundamentally a great American who believed in rights for all the people." Three pages from the Orlando Sentinel published on Sunday, November 24, 1963. 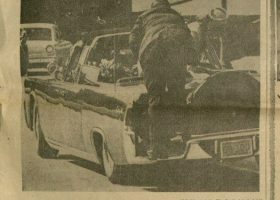 Some of the articles: World's Great and Lowly Mourn Lost Leader, A Nation in Mourning for its President, Reader Pays Tribute to President, Texans Stunned by Assassination of President, Police say pictures link Oswald with Murder Rifle, Turning saved life of Connally. 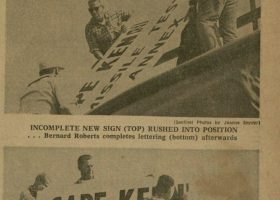 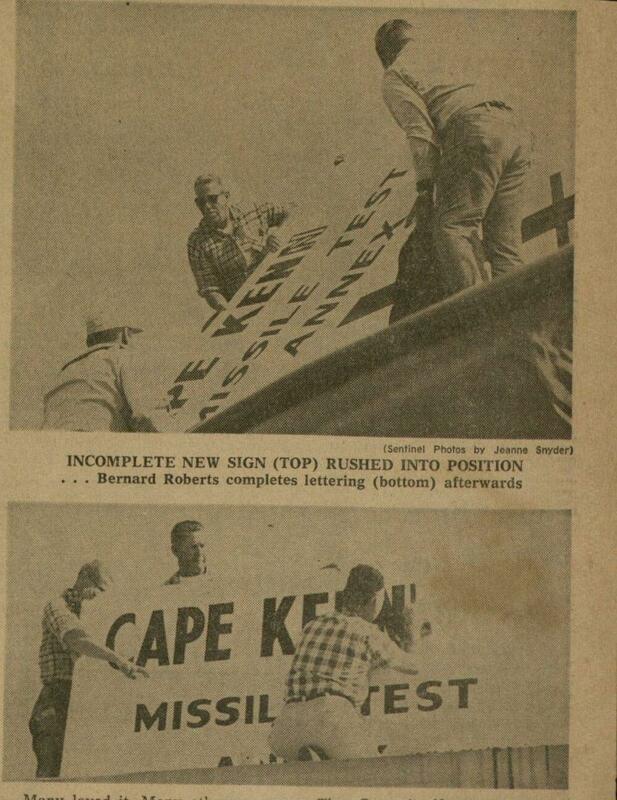 These two photos from the November 30, 1963 edition of the Orlando Sentinel shows how quickly folks at Cape Canaveral embraced the idea of naming the area in honor of the President who dreamed it into existance. 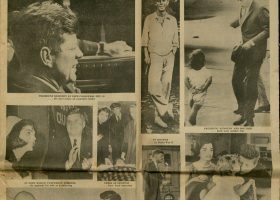 Several pages from the Orlando Sentinel published on November 23, 1963, the day after the assassination of John F. Kennedy. 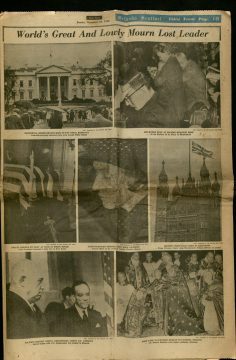 Some of the articles: Lover of Russia Charged with Fatal Ambushing; City Stunned, Angered; Kennedy Ignored Danger; Churches of Orlando Scheduling Services; Shock Wave Sweeps City; All Offices in Florida Close Down; [Billy] Graham Had Premonition About JFK; Scene of Death Described; Critics Join in Chorus of Regrets; President Had Usual Run of Life Threats; Jackie Must Tell Children of Dad. 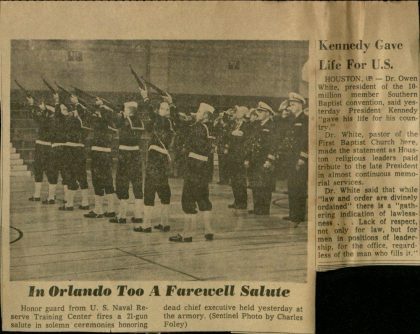 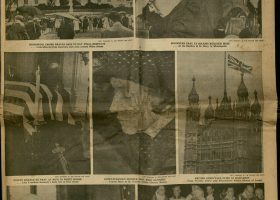 The Orlando Sentinel published on November 26, 1963, the day following the funeral for President John F. Kennedy had this banner: In Death as in Life, World Honors Fallen President - Peace of Eternity Comes to Kennedy. 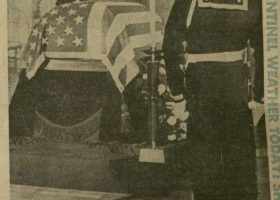 The front page featured the iconic photograph of little John Kennedy, Jr. saluting his father's flag draped coffin as the caisson rolled by taking him to his final burial site at Arlington National Cemetery. 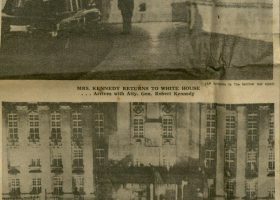 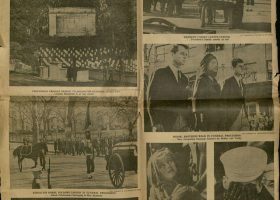 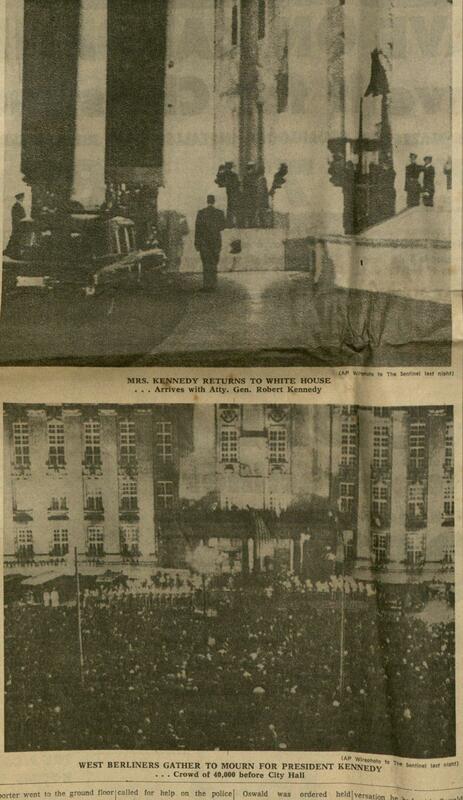 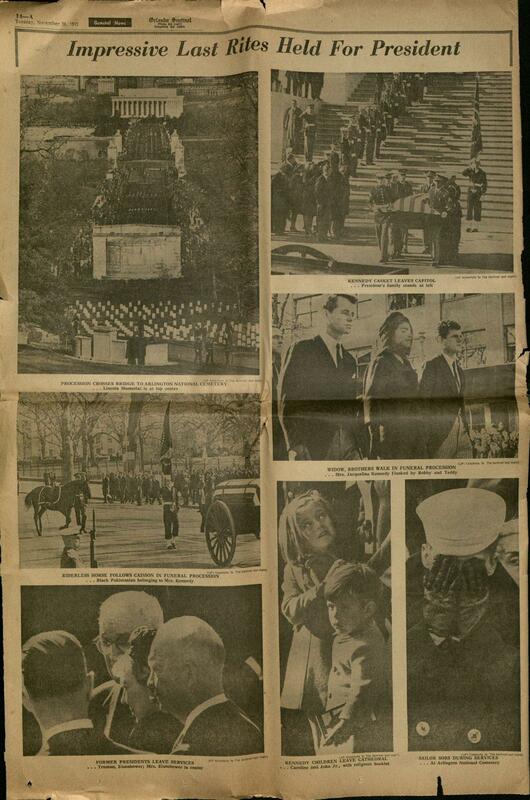 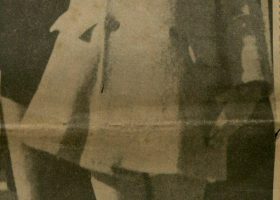 The second page included from the November 26, 1963 Orlando Sentinel is a montage of the funeral procession with the riderless horse following the caisson in the funeral procession - the Black Pakistanian horse belonging to Mrs. Kennedy; photo of the Caroline and John Jr. leaving the funeral at the church; former presidents Truman and Eisenhower leaving the service; images of the casket leaving the Capitol building where he lied in state while thousands streamed past his coffin; the photo of Jackie Kennedy flanked by Bobby Kennedy and Edward Kennedy as they walked in the funeral procession following the caisson carrying the coffin.